We cannot express our excitement in welcoming our baby boy into this world! One of the many reasons we are so happy is because we have such loving and supporting family and friends, like you, to share the experiences along with journey with! 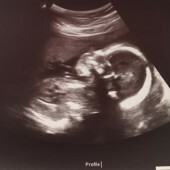 Ethan is due to arrive December 16, a sweet early Christmas gift! We hope that you can join us in celebrating at the baby shower!